Bosphorus is one of the world’s most beautiful and important straits. It’s among one of the must-see sites of Istanbul and adorned with lights on both sides, the amazing scenery of Bosporus can be enjoyed by taking a refreshing boat excursion. Seafood lovers should not miss the opportunity to dine at the terrific fish restaurants located on the European and Asian sides of Istanbul in the districts of Beylerbeyi, Anadolu Kavağı, Üsküdar, Tarabya, Sarıyer and Kuruçeşme. Cappadocia is one of nature’s most exquisite and unique regions worth seeing. Take a hot air balloon ride over the astonishing landscape at sunrise. The famous Princes Islands, Çamlıca Hill and Beyoğlu are among the most recommendable attractions of Istanbul worth seeing before leaving the city. 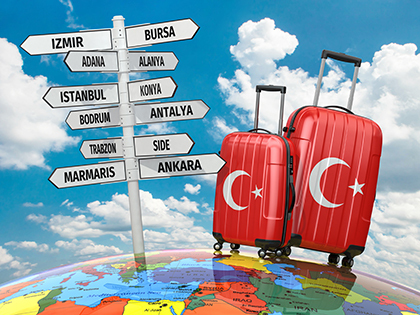 Do not miss the opportunity to shop in Turkey enjoy fair prices and great a variety of products from World famous brands to traditional trademarks. Visitors who want to enjoy unique experiences should definitely visit the quaint traditional Turkish baths before leaving Turkey. Food fans should not miss the chance to taste the traditional kebabs, pastries, baklava, Turkish coffee, Ayran and syrups which are the most delicious specialties of Turkish culinary culture. Inscribed on the UNESCO World Heritage List, the extraordinarily beautiful and ancient sites of Troy, Hierapolis and Cappadocia are certainly worth the visit and will give your Turkish vacation its final touch. Istanbul’s Topkapi Palace, Hagia Sophia and the Ethnographic Museum are among the must-see sites that will complete your vacation by adding a flair of antiquity. History enthusiasts will be delighted to explore Anatolia’s rich history. Vacationers looking for entertainment and activities will certainly not regret attending any of the major festivals such as Istanbul Jazz Festival, Aspendos Opera and Ballet Festival or the Antalya Golden Orange Film Festival. Located in Ankara, the Atatürk Mausoleum and the War of Independence Museum are among the other must see sites of Turkey. Both places are of great historical and symbolic value, denoting the hard- earned independence of Turkey and commemorating the savior and founder of the Turkish Republic, Mustafa Kemal Atatürk. 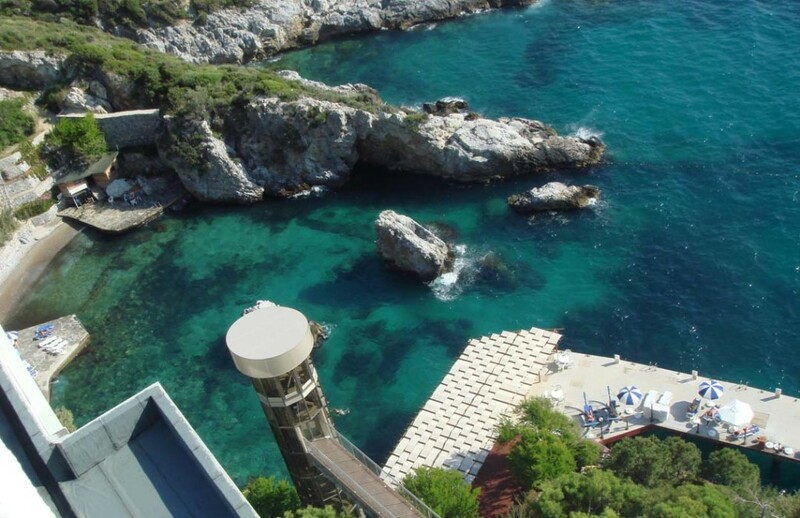 To make your Turkey vacation complete, make sure to take a refreshing trip to the magnificent Düden and Manavgat Falls located a-midst pristine nature near to Antalya. Lake Van is the largest lake in Turkey. Lake Van and the island church of Akdamar are among the must-see locations of the Southeastern Anatolia region. Visitors to this region should definitely make time to visit these sites. The beautiful Eastern Black Sea region tops the list of must-see natural sites , it’s wonders include; Uzungöl, Firtina Creek and Ayder Highland regions. A visit to Turkey is never complete unless one makes time to see the pristine forests and highlands of the Black Sea region of Turkey. make time and take part in a variety of outdoor activities such as mountaineering, paragliding, diving, canoeing or trekking.